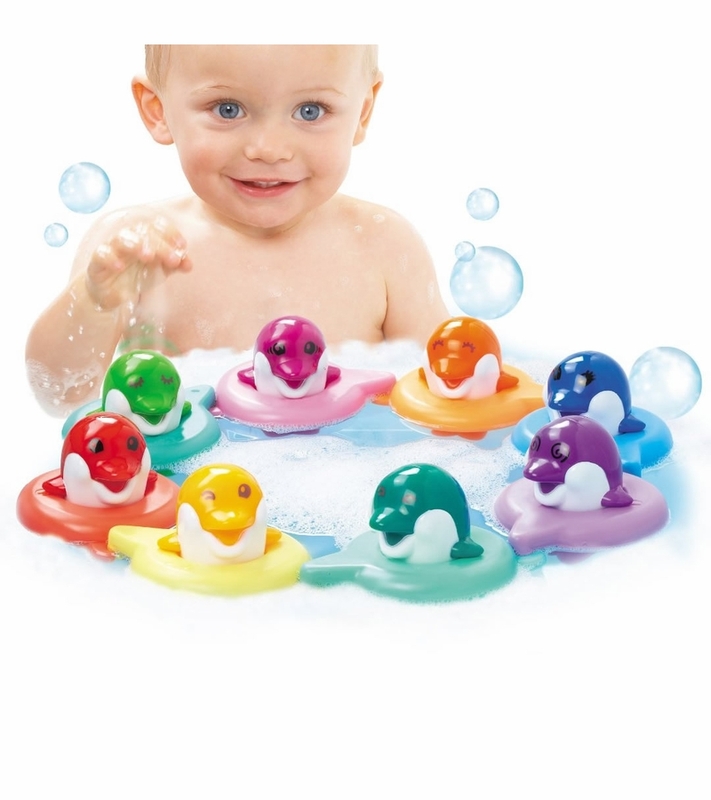 Bath time will be fun time with this great new range of bath toys from Tomy.Tap the Dolphins on the head to hear different musical notes and make your own tunes. 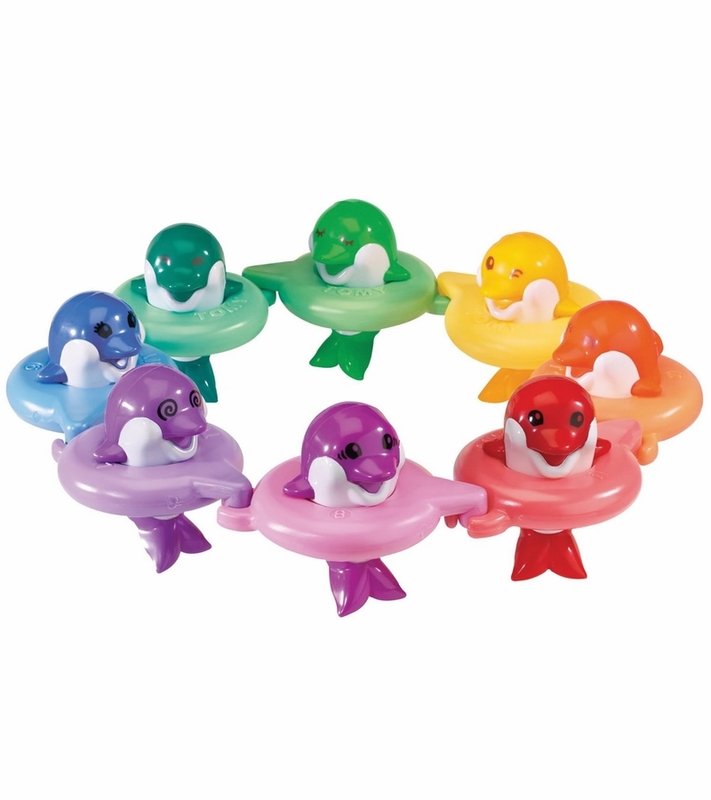 Match the colors of the dolphins to the floating rings. Play with them in a circle, in a line or separately. I purchased this bath item because I thought it played music or something close to that...it does not. The idea is to tap the dolphins on top of their heads and somehow they each make a different note. Nope, doesn't work. 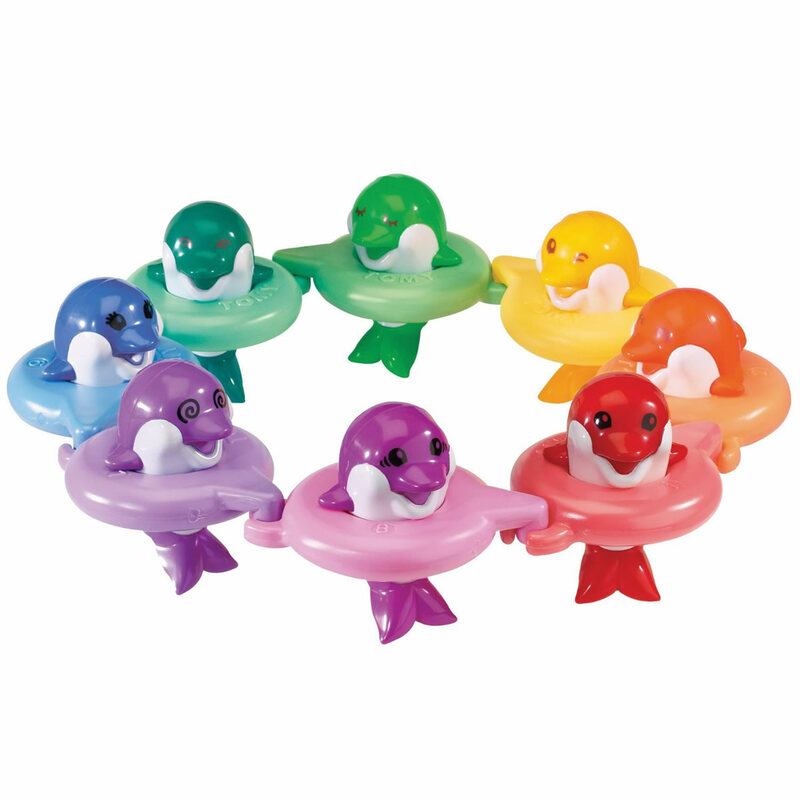 Also, two of the dolphin's floats are the same color, which makes it confusing for my 2 year old. On the plus side, the toy is much larger than I expected. I would not recommend this for the price.